The field of medicine has many different specialists. In dentistry, there are two professionals that may confuse patients with oral conditions; a dentist and orthodontist. The two are quite similar. In general, ever, orthodontists train for a longer period than dentists. This makes them qualified for more procedures than general dentists. Both dentists and orthodontists train for long periods. Orthodontists have to complete the general dentist training that goes for 8 years. They all have to get bachelor degrees before applying for dental school. The professional dentistry training lasts for 4 years. After this, dentists will earn a Doctor of Dental Surgery (DDS) degree and can begin practicing. Dentists can also be awarded Doctor of Dental Medicine (DDM) degrees. Orthodontists do not stop at these degrees. They have to spend some time in a university-affiliated residency program. Usually, this goes for a period of 2 or 3 years. Before an orthodontist starts practicing, they have to spend 10 or 11 years in training. In their specialized training, orthodontists learn about teeth movements and the guidance of facial developments. This is also referred to as dentofacial orthopedics. At the end of the entire training period, orthodontists are awarded a Master’s Degree or Certificate in Orthodontics. Before paying for the services of an orthodontist, it is important to do a background check and see which body certified them. The body should be recognized by respectable medical or dental organizations. Some dentists take abbreviated courses in orthodontics and can perform some of the orthodontic procedures. These courses are usually not accredited. Understanding all the possible complications of orthodontics take a long time and only orthodontists have spent the required time learning about the procedures. Also, orthodontics train under highly qualified specialists and are, therefore, better-placed to offer the best treatment options for your specific case. In many cases, dentists will refer patients to orthodontists if the required procedures are beyond their scope. Dentist vs Orthodontist: Who Should You See for Your Oral Health? Many people visit general dentists on a regular basis, even when they don’t have any dental problems. This is advisable since it helps to prevent the development of oral conditions and will eventually help you retain your natural teeth for a much longer time. Also, dentists offer education on how to prevent dental diseases. You can also get your teeth whitened by a dentist. On the other hand, you should see an orthodontist if you need any treatment or diagnosis regarding malocclusions of your teeth or any of the surrounding structures. As mentioned before, they also specialize in the guidance of facial developments. Malocclusions usually develop because of crowded or missing teeth. They can also result from extra teeth and jaws that are poorly aligned. Other corrective appliances can also be used to properly align teeth. 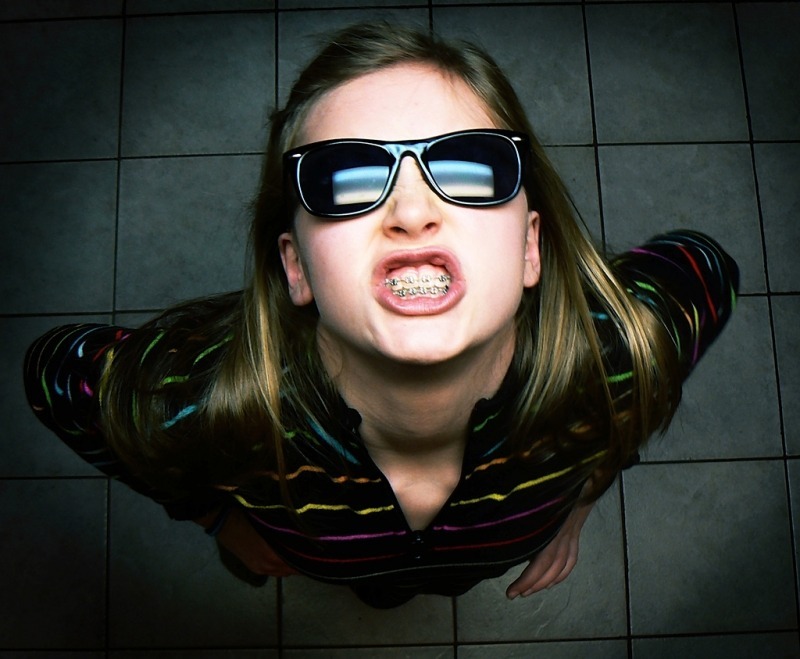 Dental braces are among the most commonly used appliances. They are made of metal brackets and are tied to the teeth using rubber bands and wires. Today, many orthodontists offer braces that match your tooth color so that they are less noticeable. If you wish, you can also get braces with fashionable colors. Invisalign treatments are becoming more common alignment appliances. As the name suggests, they are designed to be invisible so no one can tell you are using jaw correction treatments. They are made of smooth and safe plastic materials to subtly move your teeth to the desired position. The products are designed to be clear in order to be subtle and invisible. Invisalign treatments are not necessarily more expensive than braces. If you visit a dentist for such procedures, they are likely to refer you to an orthodontist. Some dentists are legally allowed to perform the procedures after going through weekend courses. They will, however, not be able to give you the best treatment options since they typically do not spend enough time learning about the available options and the movement of the teeth and jaws. The main difference of dentist and orthodontist is the specialization in teeth realignment. Orthodontists can perfectly balance the different treatments you need, and, therefore, give you the optimum results. Where Would You Get Dentist vs Orthodontist Services? Frequently, dentists and orthodontists work separately and in different sites. However, some establishments have both dentists and orthodontists, so patients can easily be referred to the orthodontists if necessary. This makes it a lot more convenient for the patients. Everyone should visit an orthodontist before turning 7 so that possible problems can be detected and prevented soon enough. If you have a problem biting or chewing food, you may need to see an orthodontist for advice and treatment. Of course, if the problem is rooted in tooth diseases, you will need to see a dentist for fillings or extraction. Some aches and pains in teeth are also rooted in poor alignment of the teeth. It would be prudent to visit an orthodontist for a checkup if you experience pain in the teeth. Also, it is important to visit a dentist on a regular basis as this will help you maintain perfect oral health. Dentists and orthodontists are both trained and qualified to treat dental conditions. However, there are certain aspects that set the two professionals apart. The only notable difference of dentist and orthodontist specialists is the fact that dentists are not extensively trained on aligning teeth and jaws. In case you visit your dentist for such services, you will be referred to a well-trained orthodontist for treatment. Orthodontists have to complete general dentistry, and will then have to spend a few more years training for their profession. In case you have misaligned teeth or jaws, you should make a point of visiting an orthodontist. Also, if you have trouble chewing food, an orthodontist will do a great job at correcting the problem. If you haven’t had your teeth or jaw checked, you may want to schedule an appointment to an orthodontist soon.